As it's currently London Cocktail Week (5-11 Oct) I thought this "cocktail-making" post was right on cue! I received a pretty cool gift from a lovely fellow called Toby, at TASTE Cocktails. Basically it's a website which offers you your very own cocktail kit - full of bar-quality ingredients. 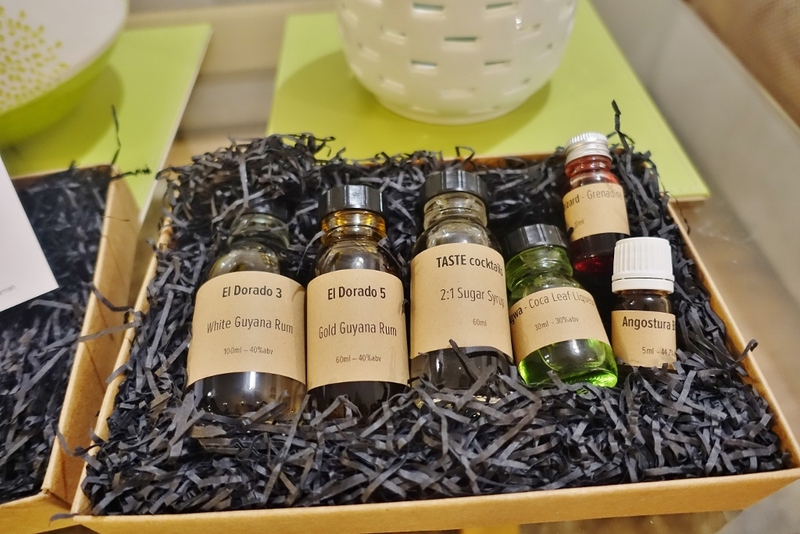 They offer various cool cocktail-concoctions such as a monthly cocktail subscription box, or even just the one-off kit to try your hand at mastering bar tending! There's lots of cocktail ingredients boxes to choose from, such as; margarita's, daiquiri's, sours, bramble's, gin martini's, or a mojito kit - which is the one I picked. 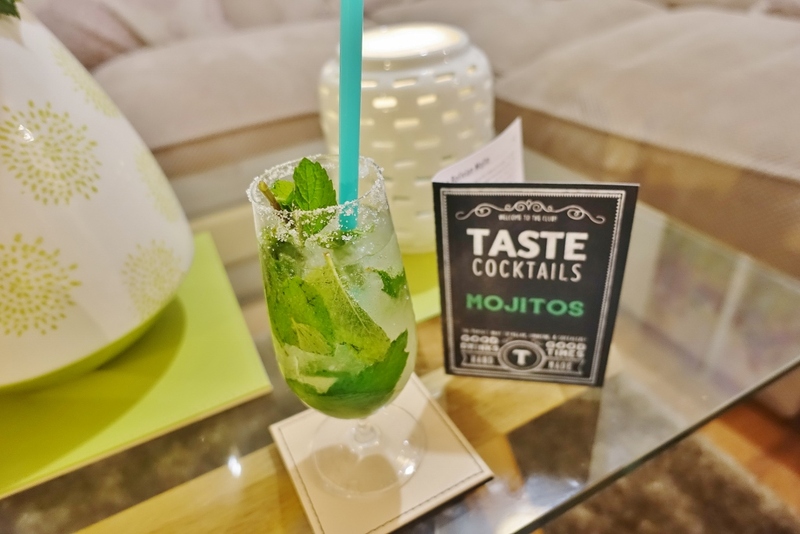 If you follow Rightupmystreet on Instagram, I can often be found posting pictures of my latest cocktail indulge, however, mojito's usually feature on a regular basis - there's something so refreshing and sweet about this mix, its definitely a favourite classic of mine! So of course I jumped at the chance to experiment with making my own. Now remember guys, your paying for bar-quality ingredients, we don't want no watered down Slug and Lettuce cocktails round here (opps - a 'shameful' name and shame from me there!) 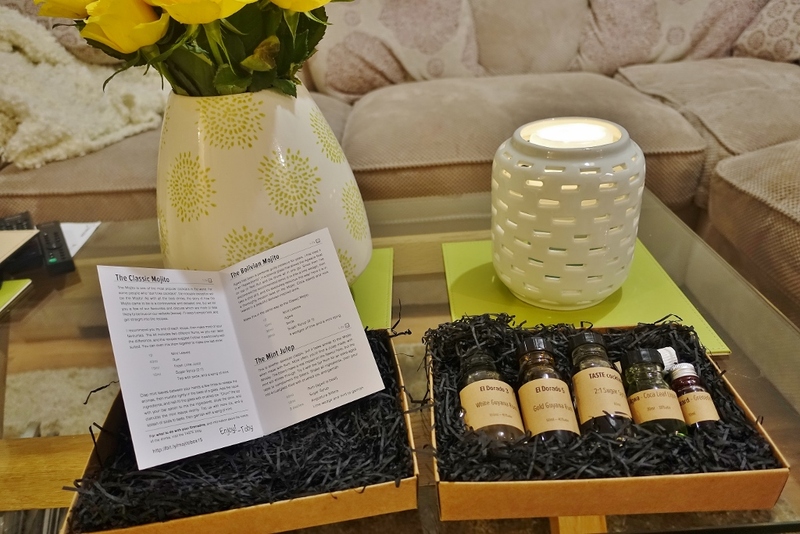 so your going to have to expect to pay a bit of a premium on a per box basis, for example, the Mojito box is £29. 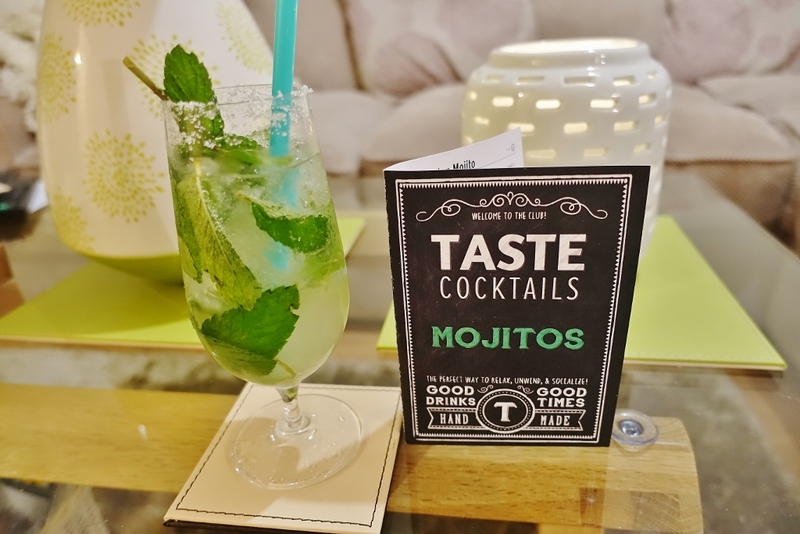 A great idea is to get friends involved too, because with the ingredients provided they recommend you can enjoy up to 6 drinks per box - so why drink alone? This would be ideal for a house party or pre-drinks. 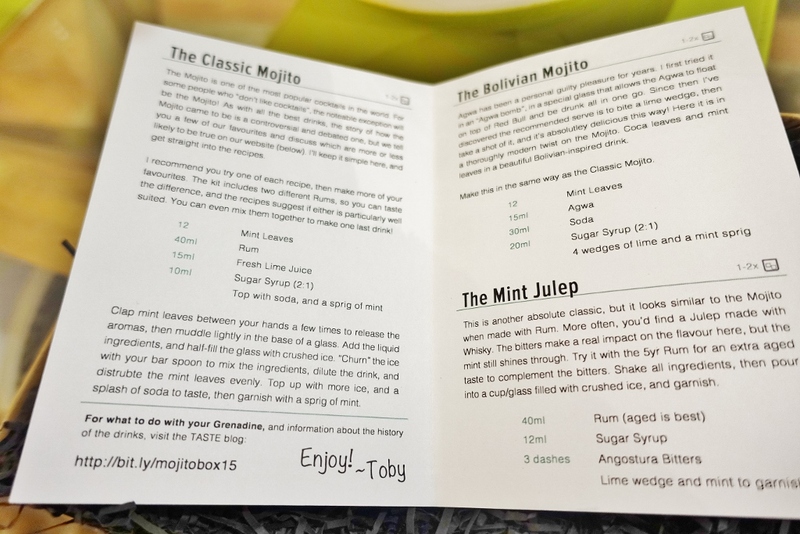 The box comes complete with a little recipe book too, for the mojito box in particular it offered a few alternatives to the classic mojito mix - you've even got the supplies to make your own Bolivan Mojito. 1. Start off by clapping the mint leaves in between your hands lightly; this will help to release the aromas, then muddle these leaves in the base of the glass. 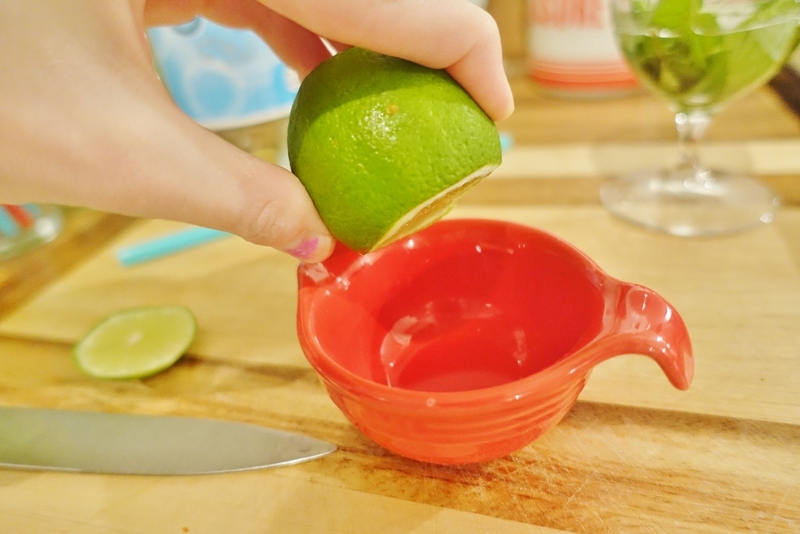 Squeeze a fresh lime into a glass. 2. 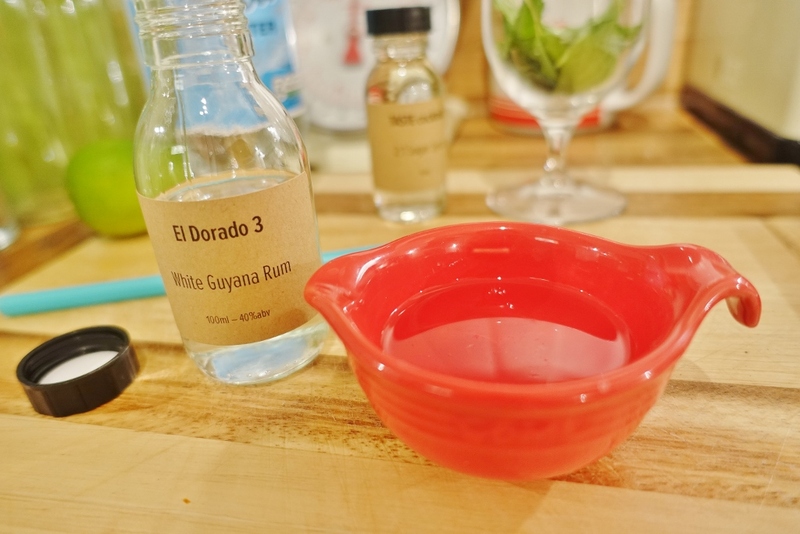 Add all of the liquid ingredients (So the rum, fresh lime juice and sugar syrup) - Hold off on the soda water yet - that comes later on! 3. 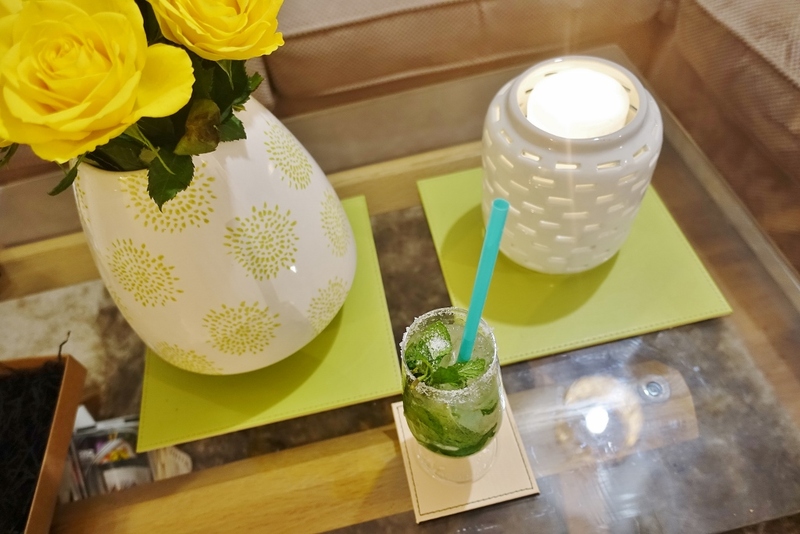 Then half-fill the glass with crushed ice - I just had full ice-cubes and put into a plastic bag and hammered for a bit with a rolling pin to create the smaller crushed ice we all love in a classic mojito! 4. "Churn" the ice together with your ingredients (I just used the end of a metal spoon to churn) - this will help to mix, dilute the drink and distribute the mint leaves evenly. 5. 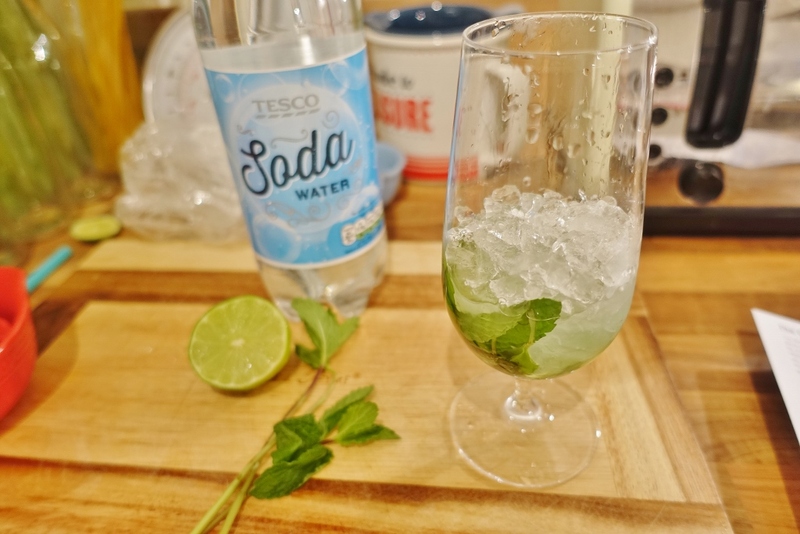 Then top the drink up with a bit more crushed ice and add a splash of soda to taste (based on your preference). 6. 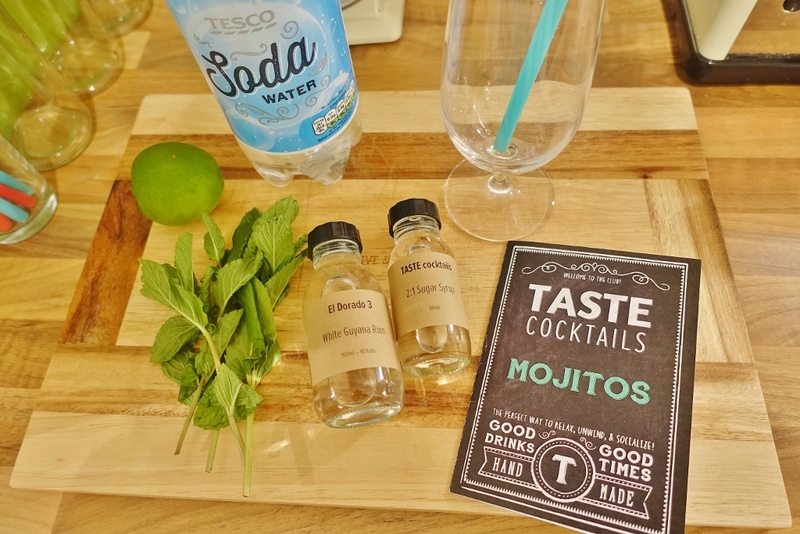 Then garnish with a sprig of mint! Its as simple as that! Most importantly, its tasted great. I'm definitely going to save the rest of my ingredients box for my birthday weekend in a couple of weeks when I'm having the girls round for pre-drinks before we go to a club. 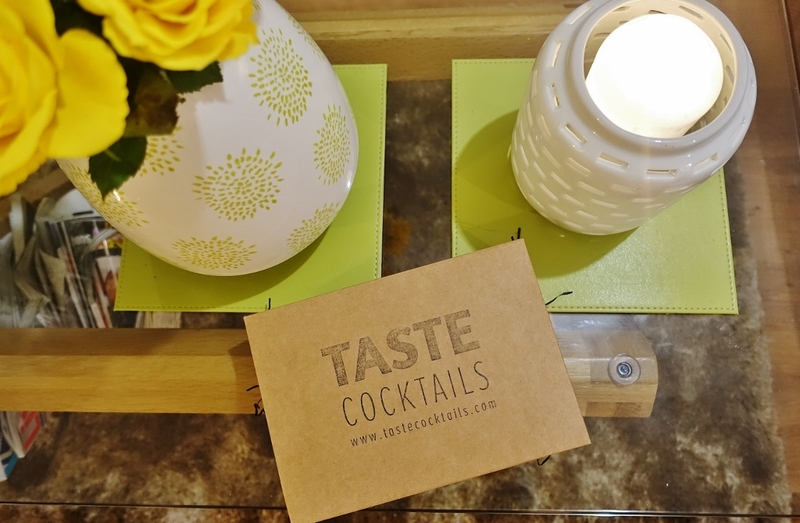 If you do happen to purchase your own cocktail kit from TASTE cocktails I would love to see your posts and ideas, so we can learn each others recipes tricks and tips. 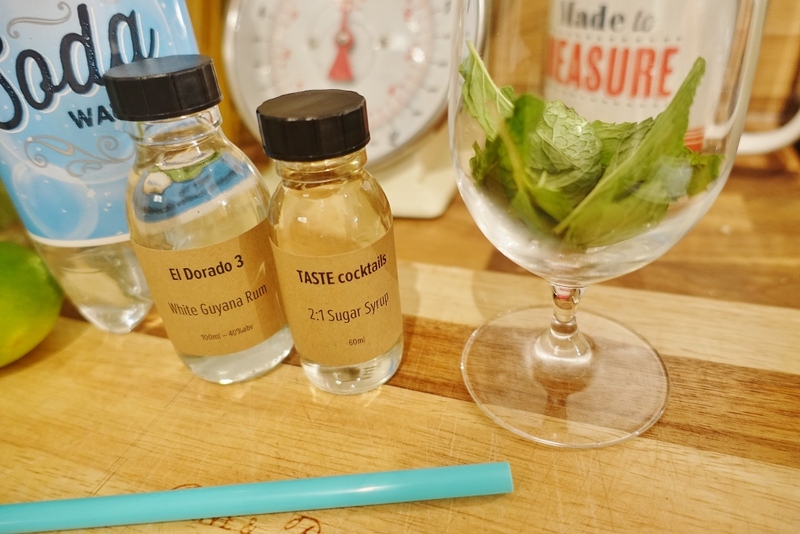 Also - if you love cocktails like me, it's worth checking out the website currently because you can currently get £5 off your first kit! This is so cool! My alcohol knowledge is pretty sad, so I really want to learn how to make cocktails!